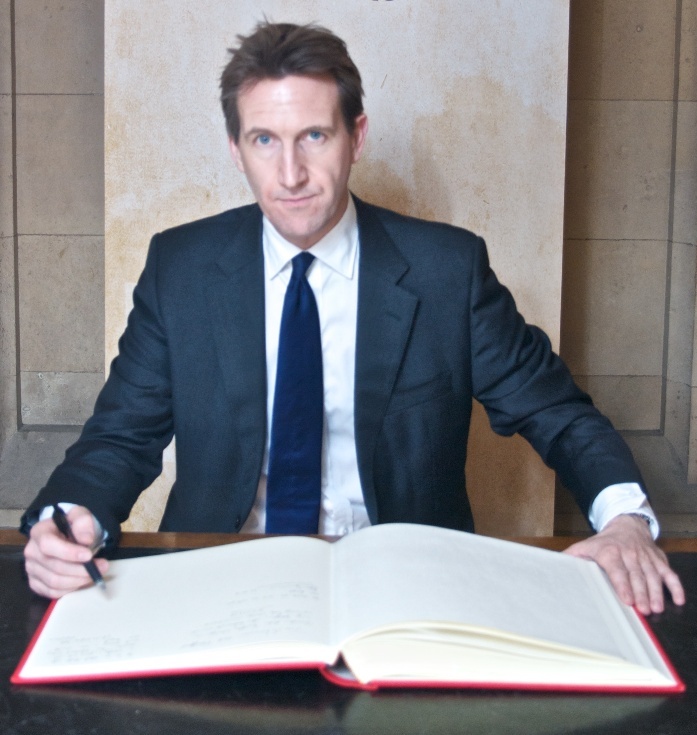 Below is the text of the speech made by Dan Jarvis at Demos in London on 10 March 2016. Thank you Phil and thank you Demos for inviting me to join you today. I recently celebrated – if that’s the right word – five years since I was elected to Parliament in the Barnsley Central by-election. I suppose it would be impossible to swap the trenches of Helmand for the green benches in Westminster and not experience a few surprises. The working conditions for a start. 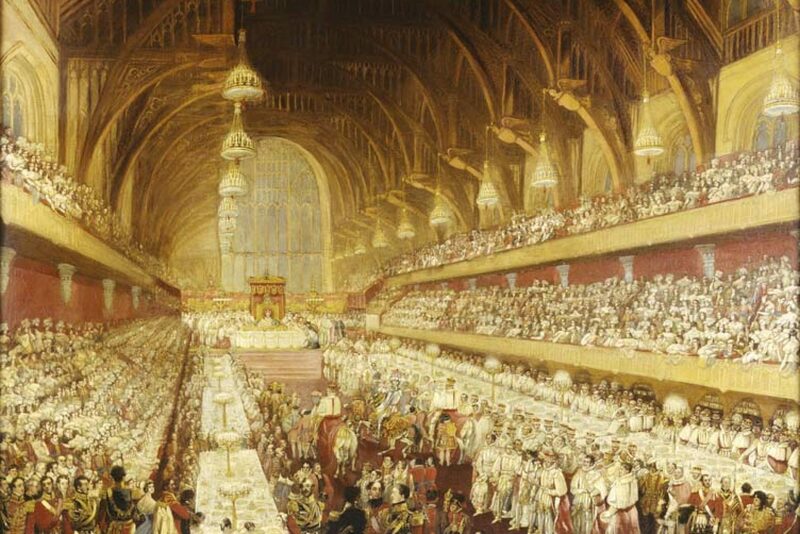 When you once spent two weeks in which every single meal consisted of the same British Army ration pack – what was described – somewhat optimistically – on the packet as ‘pork casserole’ – you can find it hard to sympathise with complaints about the food in Westminster! Or the hours, for that matter. But hey – at least in the modern dynamic institution that Parliament is, I still have somewhere to hang my sword! But there has been one way in which my civilian life has proved harder than the military life. The training in the Army prepares you to deal with the emotional impact of what you see. There is a job to be done and you get on and do it. I went to war three times in three different places and managed to do it without shedding a tear… other than on the 14th day of being handed pork casserole rations! But I don’t mind telling you that when I first heard the Barnsley Youth Choir sing, I struggled to hold it together. It wasn’t just the music that got to me, although it was amazing. It was the thought of those talented young people, full of the joy of life, full of hope, full of ambition. It was the sorry thought that at least some of these young people, or others like them, will be let down. It was a sense of shame that we do not do more to secure the future for the kids in Barnsley. More than half of the youngsters in my constituency leave school without five good GCSEs. And my constituency is by no means unique. All over the country there are people getting little or nothing from the political process. It sounds hollow to these people when we talk about how prosperous Britain has become, what a great recovery it has made. I do not wish to suggest that it is not true or indeed to begrudge anyone their success. But the purpose of my party, the Labour party, is to give a voice to those who have not yet seen their fair share of the rewards. Those who feel no one is listening. Now, I do not have as good a voice as those in the Barnsley Youth Choir, but I will do my best. The Labour party was founded to improve the lot of working people. There is no mystery to what it was about. Keir Hardie said that the British are a practical people, not given to chasing bubbles. The people I meet, the people I am talking about, don’t attend economic seminars. They don’t follow the doctrinal discussions of the Labour party. They want to vote for a party that doesn’t just oppose the government. They want a party that beats the government. A party that gets into power for a purpose: to work on their behalf. Because make no mistake they are working hard themselves. I know a woman called Catherine in Barnsley whose story is distressingly common. Catherine is a cleaner and housekeeper. She juggles six different jobs in six different locations. She works more than 50 hours a week on the minimum wage. Despite working very hard, Catherine struggles to make ends meet. But by “luxuries”, what she actually meant was things like new clothes. I know for a fact that Catherine doesn’t have the time to take much notice of what we do here. But the government we choose will shape her life more than most. This is why I became an MP. To listen to people like Catherine, to talk her language, and to act on her behalf. One of the most painful experiences in the 2015 election campaign was talking to people on the doorstep who didn’t really know what we stood for. Those are the three ways in which most of us think about our lives. What did Labour have to say about those three things? What story did we have that combined the three? Even when people knew what our policies were they did not trust us to deliver them. We were talking a language from another planet. So that is why I am rooting my remarks today in a place and an experience 175 miles from here. George Osborne is quick to take credit for economic growth. But look behind the headline figures and you see that this growth is a mirage for many people. To understand why, you just need to ask two questions. First, where is the growth coming from? The Chancellor promised an export-led recovery. He talked about the ‘march of the makers’. But as Iain Wright, Labour’s Chair of the BIS Select Committee has pointed out, George Osborne’s exports target to hit £1tn by 2020, is simply “pie in the sky”. Exports as a share of our national income have actually fallen from 29% to 27%. And rather than a regional rebalancing, we remain too dependent on financial services in the south east. Second, who is benefiting from the growth? Working people are not gaining. Their real wages fell by £1,600 a year in the last parliament. Recent research from the Centre for Cities found that only one in four British cities are delivering on Osborne’s plan for a ‘higher wage, lower welfare’ economy. And let’s be clear, whilst we welcome any increase, this is not a Living Wage which is being introduced this year; it’s a new Minimum Wage. Mr Osborne is fond of telling us he has fixed the roof while the sun is shining. Well, it’s not the roof I’m worried about, it’s the foundations. People talk about Westminster politics. Well this Chancellor gives us Westminster economics. Budget gimmicks. Deficit reduction targets missed. Promises broken. When you hear George Osborne say ‘long term economic plan’, what he really means is ‘short term political gain’. That is why people across the country, regard politics as a trade in illusion and self-interest. Cabinet Ministers who want David Cameron’s job are lining up to blame the European Union for every conceivable economic problem. But rather than his scare tactics on the EU, Boris Johnson might have a quicker route to No10. Because it’s not the EU that is leading the country into an economic mess it’s his leadership rival, George Osborne. Stop gazing at the stars and start focusing on the foundations. And deliver a budget that’s in the National interest not your own. Now, the Tories have made things worse, no doubt about it. But let’s not pretend that all was well until 2010. Labour dealt well with the immediate crisis of 2008 but it did not begin to get to grips with the longer term economic crisis that affects Britain. That is why, when we get back into power – we will need to be more radical than anything that went before. I became an MP less than a year after the Labour government left office. Many in our party felt passionately about defending the record of the last Labour government, others less so. And of course the Tories sought to blame that government for everything that was wrong in the country. And they did so with a ruthless clarity. Labour did not cause the crash. But the place I represent suffered the consequences. A crisis, which began in the Deep South of America had deep effects in every corner of Britain. Small businesses found it harder to get credit. Employers began laying off workers. Homeowners struggled to pay the mortgage. The queues at the Jobcentre got longer. Families struggled to pay for food or fuel. I defy anyone to tell me it was wrong for Labour to step in and help those people. Of course it was the right thing to do. But if we keep fighting the battle of the 2008 crash we are in danger of missing the central point. To understand where Labour needs to change, I think we need to look more closely at what was going on before the crisis. In the good years. When the economy was growing, when inflation was low and when home ownership was up. Even in the good years the benefits weren’t being shared equally. Because the economy was changing in ways that at the time we didn’t fully understand. People in Barnsley saw on the news that Britain was booming but they didn’t notice it in their own lives. In too many cases, work didn’t pay – despite the minimum wage. For the average worker, their earnings growth was slowing four years before the crisis hit. Too often they had to rely on debt to get that car or new kitchen – unaware that more difficult times were round the corner. That was for people who were lucky enough to be in work. People who previously held steady, often skilled, jobs in manufacturing or mining have struggled to find employment as good since. In my part of the world, the Coalfield Regeneration Trust found that there are only 50 jobs for every 100 working age adults in the old coalfield communities. And what are the jobs? To many people in Barnsley, it can feel as if the growth industries are call centres or care homes. The pay was and is too low. The opportunity to develop skills is too rare. New Labour didn’t ignore these problems. In government, their approach had three elements. The first was flexible labour markets. By keeping regulation as light as possible, it would be easier for jobs to be created in Britain, rather than overseas. The second was skills so that workers could compete. Just down the road from my constituency in Orgreave where the old coking plant used to sit, there is now an Advanced Manufacturing Park. The fruit of partnerships between Boeing, Rolls-Royce, the University of Sheffield and others. It is one of the leading hubs for hi-tech manufacturing – trialing new technologies, taking on apprenticeships and training a highly skilled workforce. The third was tax credits. Even if people could only find jobs that were low paid, they would benefit from a top-up to their income. I am not saying this approach wasn’t without its successes, because it was. You will be glad to hear that I am going to spare you the usual litany of statistics setting out the investment the Labour government made in the public realm. However, if anyone thinks that government did nothing, I can certainly do it for you. But let’s be frank. It wasn’t enough. It didn’t get at the root causes. New Labour were intensely relaxed about things they shouldn’t have been intensely relaxed about. New Labour didn’t see – with sufficient clarity – the downsides of globalization. They knew it meant cheap consumer goods. But, they didn’t recognize that too often, it meant cheap labour too. Research from the TUC found that although we boosted the incomes of the poorest, the wage gap between the top and the bottom continued to rise in the years before the crisis. And today the average income in Barnsley is still over £100 a week less than the average income in Barnes in London. I believe this gap matters. It’s bad for our economy. It’s bad for our communities. And it’s bad for our politics too. If people feel the system works against them, they will turn away from us, or from politics altogether. To think otherwise reflects a poverty of ambition for a progressive party. It’s a false choice to say we must either champion Labour’s record in government or denounce it. The truth is we should defend our achievements and learn from our mistakes. To anyone outside Westminster, that’s common sense. But another truth is that insecurity and inequality on the scale we see today do not help our economy. If businesses are not prepared to invest, it does not matter how cheap the labour is. If firms can’t raise the capital, even skilled young people will struggle to find work. And if businesses want to invest in one industry, but the local workforce is skilled in another, the investment and jobs will go elsewhere. And that is why the next Labour government must take a more radical economic approach – more radical than we had under Tony Blair, Gordon Brown and Ed Miliband. Labour must always be the party of work and jobs, so that nobody is left behind. If we do not share the proceeds of growth fairly then the moral foundations of our economy are called into question. Put simply, Labour needs to be tough on inequality, tough on the causes of inequality. So our challenge now is to turn this into the practical action that people outside Westminster want to see. That means many things and I cannot cover all of them today. We need a government that is more active. We need businesses that look to the long term. And we need trade unions that stand up for our workers. The first change relates to the role of government. In 2009, the Labour government of Gordon Brown led the way in coordinating action through the G20 and in a fiscal stimulus at home. The case for a more active government could not have been stronger. But there are areas where we weren’t ambitious enough. Take capital investment, which was due to fall as the last Labour government left office. At a time when borrowing costs are so low, this is the right time to make productive investments. Not least in the Northern Powerhouse, which will struggle to get off the ground without a proper transport infrastructure. A worker in the North on average has to work 18 months to generate the same economic growth that a worker in London produces in a year. And recent research from Demos found that three in five English towns are falling behind their neighbouring city on socioeconomic indicators. Overcoming these regional challenges is not a provincial question – it should be a national priority. Part of the answer may lie in greater devolution of both powers and investment. That’s why I commend the work our Labour Councillors are doing to fight for devolved power to address this inequality. Industrial strategy cannot be limited to, or made purely by people within, the M25. ‘To give an impulse to invention likely to be useful to the world’. I am not sure we are yet living up to that ambition. At the moment, Britain spends less than France, less than Germany, and less than half of what South Korea spends on R&D. And part of the answer will be found in supporting and nurturing our home grown talent and industries. British businesses and entrepreneurs lead the world in many areas – from the Creative Industries, to car manufacturing, to aerospace. These are industries we can be proud of. Industries we should back so that they can compete and win in the global market. And when it comes to infrastructure, I know that political realities often make big infrastructure decisions extremely difficult. Let’s be honest – MPs who represent areas along the HS2 route or in the Heathrow flight path have a tough call about whether to vote for these schemes. So let’s take out the politics. Let’s look at new powers that allow the government to refer major infrastructure decisions to the National Infrastructure Commission for an independent decision on whether projects should go ahead. The second change relates to the role of business. People in Barnsley know they won’t get a pay rise if the company isn’t doing well. So I want businesses to do well. I want them to make profits. I want them to be able to use those profits to pay dividends to their shareholders – including employee owners. Where that system works well, we all benefit. As customers, we benefit from the production of new goods that we want to buy. As employees we benefit from higher wages. And as savers we benefit from the dividends being paid into our pensions. That is how the capitalist system should work. As servant, not as master. With a deep-rooted moral imperative, supplying goods that people want. In Britain today, that is not how the system works. In particular, too many companies are focusing on the short-term buck rather than long-term value. Fifty years ago the average share in a British company was held by an investor for 8 years. By the crisis it was down to 8 months. With high frequency trading, it could be just 8 seconds. In this environment, shareholders aren’t long-term investors. They’re more like ‘punters at the races’. They aren’t putting in patient capital in the hope of a steady income or a long-term reward. They’re looking for a quick rise in the share price. And if that is what investors want, that is what CEOs will find themselves pressured to deliver. In that situation it’s no surprise what happens. Businesses cut back on long-term investment so they can manage the short-term numbers instead. That is why we must act to encourage long termism in business. That means considering some radical options – like rebalancing our corporate tax system, which favours risky debt over equity. And it might mean looking at the rights of shareholders, so that those who own the shares for longer have greater rights and those who buy in during a takeover bid don’t get an unfair say. Rachel Reeves has argued persuasively for these and other measures to be considered to encourage long termism. I think she is right and I think we need to make this debate a priority. The third and final change relates to the role of trade unions. At a time when workers feel weak, those who stand up for them must be strong. This does not mean a return to the 1970s. You only need to look at my constituency, the headquarters of the National Union of Mineworkers, to see that the world has moved on. And even the remaining super unions are bound by ever-tighter legislation as a result of successive trade union reforms – not least the undemocratic Trade Union Bill currently going through Parliament. A Bill, which if passed under this Tory government, should be repealed by the next Labour government. Today the nature of work and the types of jobs available are changing. A labour market which has changed beyond recognition in my lifetime, will change again as a result of automation. Our Deputy Leader, Tom Watson, is leading important work on how we address the challenges this creates. As he told the EEF last month, 35% of today’s UK jobs have a high chance of being automated. Jobs we often take for granted as being there – jobs like checkout assistants, cleaners and truck drivers – may no longer exist. That’s where I believe the trade union movement can play a pivotal role. Because since their foundation, trade unions have both protected and educated workers. That work continues today across the trade union movement. In my own town, Northern College works with Unison, the Bakers, Food & Allied Workers Union, the RMT and UNITE to provide education and training to adults wishing to learn new skills. One of the best and most recent examples refers to the steel industry. The trade union Community has fought relentlessly in recent years to save Britain’s steel industry and to protect those working in it. But with significant job losses now taking place across the country, Community aren’t just shrugging their shoulders and giving up. They’re working with the people who have lost their jobs to retrain them so that they can reskill and secure a bright future for themselves and their families. And they’ve recently launched The Changing Work Centre in partnership with The Fabian Society. Chaired by Yvette Cooper this will look at how we can create a progressive agenda in the modern world of work – one that has the interests of workers at its heart. And we must put the interests of workers at the heart of the most important economic decision facing this country in a generation. Alan Johnson is brilliantly leading Labour’s campaign. He is making clear that the UK’s continued membership of the European Union is vital to British jobs, investment and exports. And the Trade Unions are working hard to defend important workers’ rights that would be at risk if we left the union. Trade unions can help us make the modern economy work. That’s going to involve government working in partnership with trade unions – not punishing them. It’s going to mean expanding collaboration between government and unions in the areas of learning, skills and education; adopting a culture of lifelong learning. That culture is what I want for the young people in the choir who brought a tear to my eye. I want them to go out into the world charged not just with the hope that they can make a difference but the expectation. Our country is not set up to receive them at the moment. To provide the dignity of work. We are a practical people, not given to chasing bubbles. We are a party of work. A party of Labour. I think about the young voices that moved me and I realize that I have fought many battles in my life, but none so important.